Ahead of Apple’s “hello again” Mac media event, AirPods release date has apparently been pushed back citing unknown hardware and software issues that needs to be addressed before the highly talked-about earphones can be made available for public consumption. So there you go. Don’t expect Apple now to make AirPods available for sale after its “hello again” Mac event. Originally announced last month at the iPhone 7 event, Apple’s AirPods are truly wireless earphones that are powered by Apple W1 chip and they are very simple to pair with Apple devices like the iPhone, iPad, iPod touch, Apple Watch and Mac via iCloud. Apple’s W1 chip also helps in increased range and battery for the device. Speaking of battery, the earphones comes with its own special case that not only makes them easy to carry around, but also has a built-in battery that are good to keep AirPods charged for up to 24 hours. 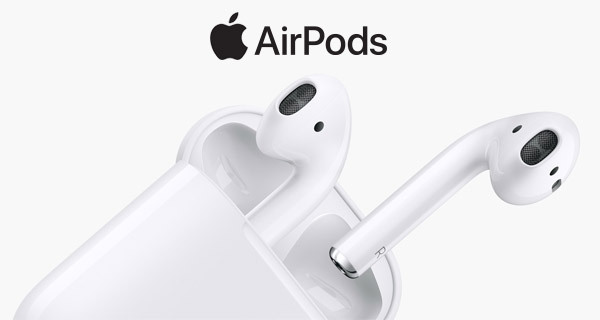 In addition to this, AirPods also include features like Siri voice control, sensors to detect when they are in ear, external noise reduction, accelerometer for touch gestures, ability to connect to non-Apple devices via regular Bluetooth, and more. Besides AirPods, two other products that are powered by W1 chip are Powerbeats3 and Solo3 headphones by Apple-owned Beats, both of which are already available for sale. Priced at $159, AirPods were originally scheduled to ship in late October but now with this delay, it seems like they will now be made available later than expected with Apple not giving any specific timeline on the future availability. Why? The design and the overall concept is amazing! At this point, i doubt they can change the outer looks. I love apple products but those earphones design is just off in terms of practicality… those earbuds can just fall out wayyyy too easily. And I’d prefer a little more time berwwwn charges even with the case.